Affordable, custom-built homes with amazing curb appeal and desirable interior finishes are just some of what to get excited about when it comes to Egret Landing real estate for sale in Jupiter, FL. Many of the homes in this stunning Jupiter, FL housing development feature 3 bedrooms, 2 or 3 bathrooms, and ample square footage that works for living here full-time or just on a seasonal basis. For more information on the homes available at Egret Landing in Jupiter, Florida, contact us today! As of April 21, 2019 there are 2 ACTIVE homes in Egret Landing with an average asking price of $611,500. The highest ACTIVE listing price is $648,000, while the lowest listing price is $575,000. These Egret Landing residences have an average price of $230 per square foot, based on listings with an average of 4 bedrooms, 3 bathrooms, and 2,660 square feet of living space. See today's Egret Landing homes for sale & Jupiter, FL real estate listings below. 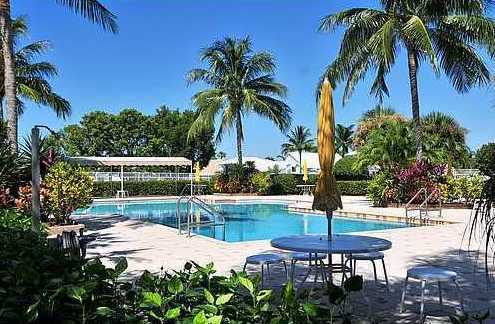 Nestled in the heart of Jupiter, Egret Landing allows easy access to the city's most popular attractions. Just off the turnpike and Indian Creek Parkway, a wealth of breathtaking south Florida beaches, quaint boutique shops, mouth-watering restaurants, world-class golf resorts and top-rated schools are all just minutes away. But aside from location, potential home buyers also find the stunning views of the community's shimmering lakes to be one of the best qualities about Egret Landing homes for sale in beautiful Jupiter, FL. To get exclusive information about Egret Landing properties read on, or schedule a home showing today - contact your Jupiter real estate specialists now! Perfect for a wide range of home buyers, Egret Landing real estate for sale in Jupiter, FL comprises quite an array of Mediterranean-style single-family homes. These spacious and quality constructed single-family residences range in size from 1,750 to more than 4,000 square feet of airy, air-conditioned space, while inside, the interiors boasts upgraded gourmet kitchens, granite countertops, high-end under-mount sinks, roomy walk-in closet space, and sizable open floor plans that make regular entertaining an absolute delight . Residents of this large private community enjoy luxury resort-style amenities, which include a full-size swimming pool, a large clubhouse that houses a state-of-the-art fitness center, a one-of-a-kind playground, as well as a regulation basketball court and a total of seven tennis courts. Looking to sell or buy a home in Egret Landing? Call Snyder Real Estate Group, your neighborhood Jupiter real estate team at at (561) 951-9301. We are Egret Landing real estate agents and experts on the Egret Landing Jupiter, FL housing market. Egret Landing is perfect for those local Jupiter buyers who want a newer single-family home with lots of space, a true Florida-feel, and first-rate community amenities that help you stay active and fit. In addition, the Egret Landing subdivision is also within a very close proximity to many of Jupiter’s fine schools and just a short drive from Palm Beach International Airport—which also makes this location perfect for those looking for the right vacation property. Considering the purchase or sale of real estate in Egret Landing? Let our team of Jupiter real estate specialists professionally assist in your hunt for the perfect home and skillfully negotiate the sale of your existing Jupiter house. As Egret Landing neighborhood real estate agents, we know the unique nature of the Egret Landing real estate market. Our real estate pros can get you on the fast-track to your next home today! Call Snyder Real Estate Group today to learn more about buyer or seller representation. Considering the sale of your Egret Landing home? Receive a free home assessment, where you can instantly calculate your property's estimated market value in seconds!